The beautiful city of Venice is one of the most popular destinations in Italy and features on many bucket lists. 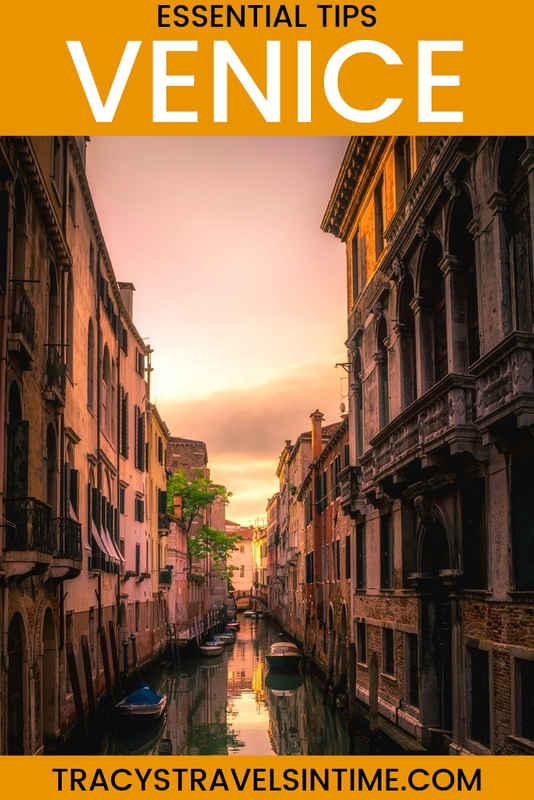 If you are planning to visit it is useful to be aware of essential tips and things to know when visiting Venice to ensure you make the most of your trip. 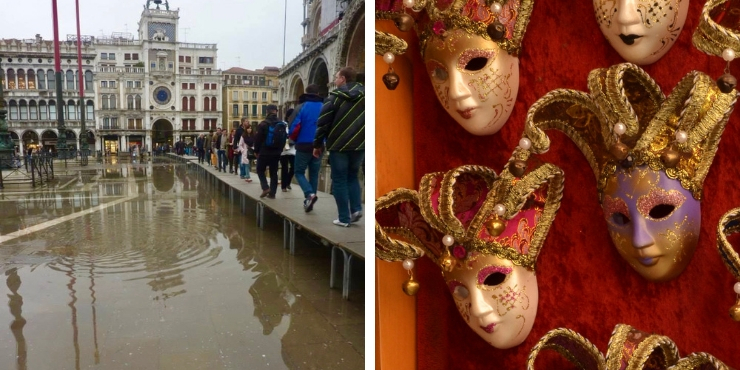 These tips are all things I have learnt from numerous visits to Venice as well as great tips from a friend who visits annually in February during the famous Mardi Gras celebrations. 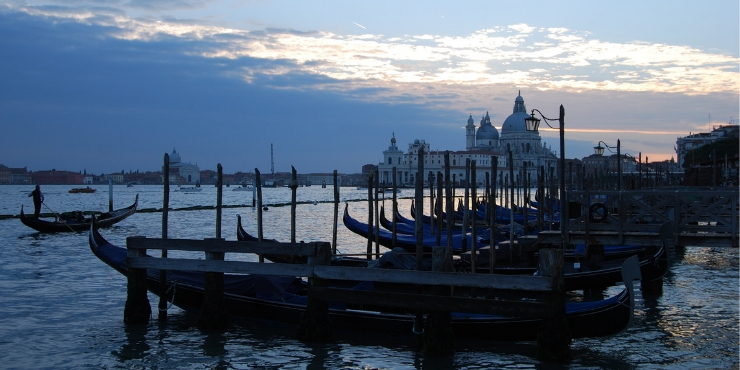 What are the top tips and things to know when visiting Venice? What are the absolute must visit sights in the centre of Venice? 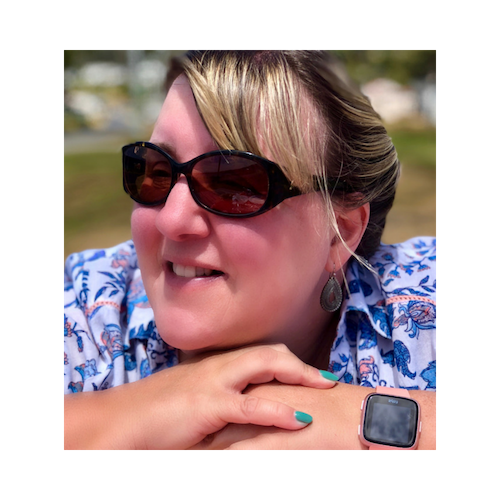 Which of the many islands of Venice should I visit? How much does a gondola ride in Venice cost? 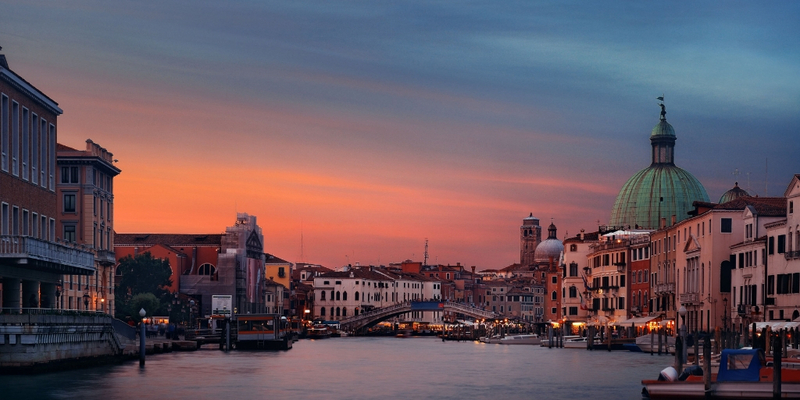 When is the best time of year to visit Venice? Where are the best places to eat in Venice? Where are the best places to stay in Venice? Always try and get an outside seating area on the vaporetto. Try and get lost lots of times – you’re never too far away from the Grand Canal and there are signs high up on most street corners. Catch the Number 1 vaporetto down the Grand Canal. It is a brilliant introduction to Venice. Try to book a hotel which overlooks the Grand Canal. It is worth it for the great views! When packing for Venice consider how you will get your bags/suitcase to your hotel. It is not easy getting on and off boats with large suitcases especially in summer when they will be busy. Also dragging a heavy suitcase up and down the many bridges is no fun either! With that in mind if you are traveling Italy by train I would suggest staying near to the train station. It is only a 20 minute stroll to get to St Mark’s square or a vaporetto ride along the Grand Canal. Be careful of pickpockets and scams. I have anti-pickpocket bags (of various sizes) which are invaluable for travel especially in Europe. If you are on a budget there are take-away sandwich and pizza options at the station – we bought a slice or two of pizza to keep us going until dinner! I would recommend buying a pass for the vaporetto for the length of time you are in Venice. On our last visit we purchased a 48 hour pass at a cost of 30 Euros each and it was worth it. The pass gives you unlimited access to vaporetto/water buses in the City of Venice and sometimes jumping onto a vaporetto is a welcome break from walking! Just remember to validate it before you use it! Current costs (2019) are 24 hours €20 48 hours €30 72 hours €40 and one week €60. Make sure you are at the right vaporetto stop for the direction you want (you can easily end up going in the wrong direction – if you do (we have more than once) sit back and enjoy the trip! You will eventually make it back to your starting point! Water taxis are available in Venice but are pricy at €15 with an additional €2 added every minute. Make sure if do you use a water taxi that it has a yellow stripe with a licence number. 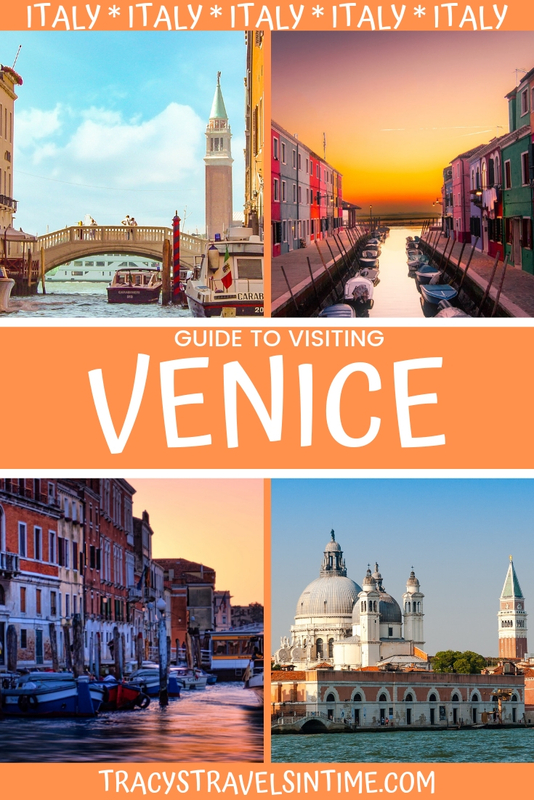 If you, like me, are a keen amateur photographer and want to take some great shots read this guide to the best photography spots in Venice is excellent. Wear comfortable shoes and carry water particularly in summer when the temperatures can soar. Take bug spray – the mosquitoes can be a bit annoying in summer! 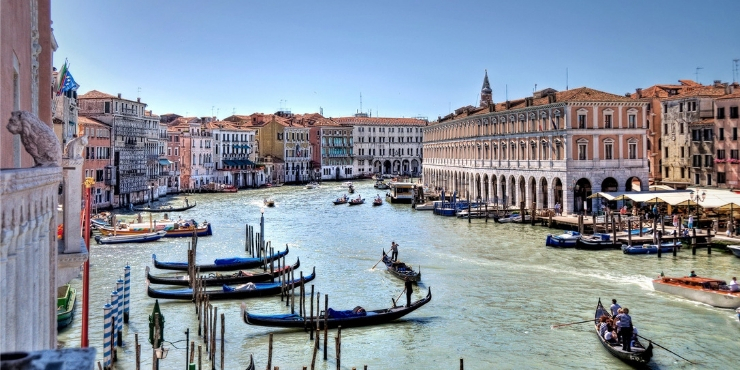 WHAT ARE THE TOP SIGHTS TO SEE IN VENICE? Venice has 6 sestieri or districts that make up the main city centre of Venice. Cannaregio – the Stazione di Venezia Santa Lucia (train station) is in this district. It is the most populated sestiere in Venice. Here you can find the Jewish Ghetto where Jews were forced to live until the 16th century. Cannaregio is a great place to stay when you are in Venice particularly if you are traveling by train. Castello – We actually were lost in this area of Venice the last time we visited and its quite eerie as it gets dark! It is home to the city hospital. The area is dominated by the Arsenale a large complex where Venetian boats were built. Dorsoburo – If museums are your interest then head for Dorosburo. Here you can find the Gallerie dell’Accademia which houses many masterpieces by Titian, Tintoretto and Carpaccio as well as the famous Leonardo da Vinci drawing of the Vitruvian man. Don’t miss the Basilica di Santa Maria della Salute a beautiful church overlooking the lagoon which was built in the 17th century. San Marco – dominated by the famous St Mark’s square with its beautiful Basilica and campanile this is the place everyone heads to in Venice. The Bridge of Sighs is also located in this district. If you enjoy shopping take a stroll around the Mercerie a collection of lanes full of shops! 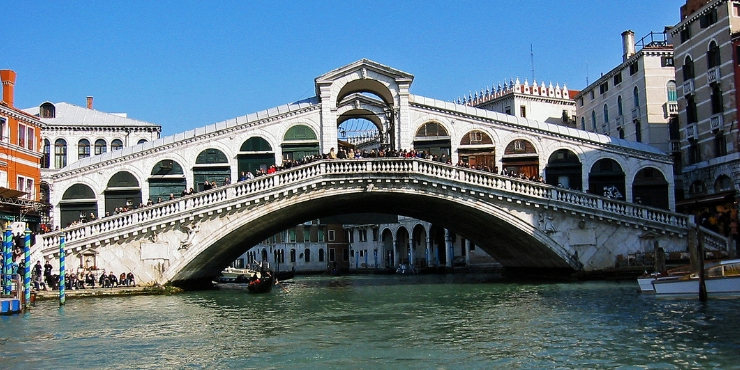 San Polo – The Rialto Bridge links San Polo with San Marco across the Grand Canal. It is also home to the second largest square in Venice – the Campo San Marco. 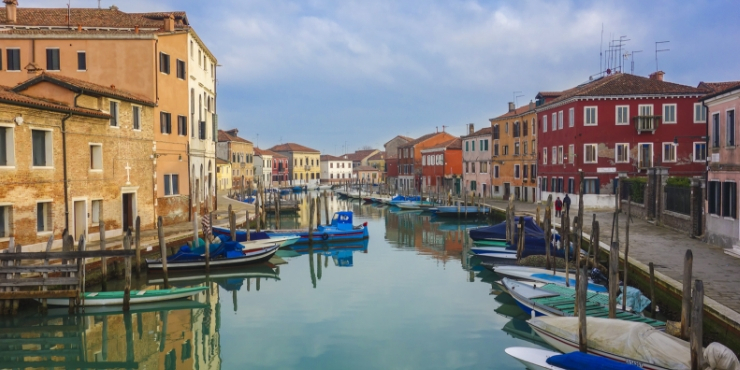 Head to the Rialto for the markets as well as great views of the Grand Canal. Santa Croce – the location of the Stazione Maritime the station for ferry-boats and cruises. One of the absolute must-do experiences in Venice is to catch a water bus along the Grand Canal from Santa Lucia Railway Station to St Mark’s Square. Catch water bus routes 1 or 2. Water bus 1 takes approximately 45 minutes and will stop at each of the 14 stops along the way. Water bus 2 leaves every 30 minutes from the station and only stops 5 times along the route (including at the Rialto) If you stay on water bus 1 it will continue on to the Venice Lido which takes another 20 minutes. 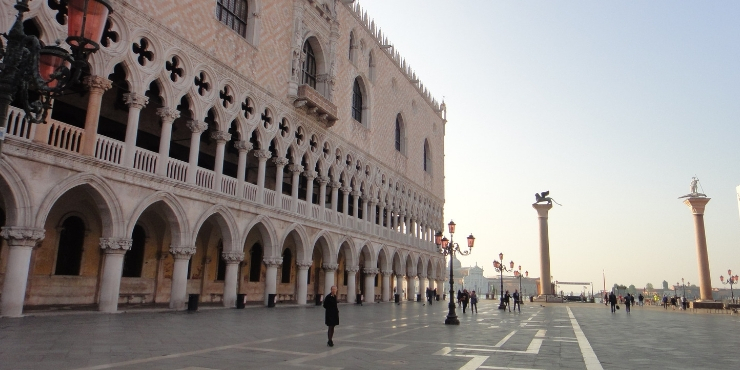 At the heart of Venice, Piazza San Marco is the first place most visitors want to see. Its a 30/40 minute walk from the train station or a vaporetto along the Grand Canal. There are several things to see in the square including the Palace, the Basilica and the Campanile. This Catholic Cathedral with it’s domes and turrets is a symbol of the wealth of Venice over the years, It is free to enter and open all year though access may be restricted on Sundays and Holy Days. The 99 metre high campanile was constructed in the 12th century though the campanile you will see today was rebuilt following its collapse in 1902. The Doge’s Palace (Palazzo Ducale) is where the Doges ruled over the Venetian Empire until 1797. Inside the palace are art works by Titian and Tintoretto, the government chambers, the apartments of the Doges and the Bridge of Sighs! The enclosed bridge is made of limestone and connects the prison to the interrogation rooms in the palace. Look for the bars on the stone windows! Book tours especially if you are visiting Venice during high season. Don’t miss the Pala D’Oro in the basilica – the golden altarpiece is studded with priceless jewels. Cover knees and shoulders if you are visiting the basilica. Visitors only have 10 minutes in the basilica and no filming or photography is permitted. The bridge dates back to 1588 and is made of marble. The Rialto is located at the mid-point on the Grand Canal between the train station and St Mark’s Square. There is a fish market here as well as lots of shops. It is a great place to take some fantastic pictures of the Grand Canal particularly at sunset! Once you have taken the water taxi the full length of the Grand Canal I would hop off at the Rialto next time and walk to St Mark’s. There are lots of great alleyways and shops to look at along the way. Look for signs on the street corners which will guide you along the way. This Catholic Church built in the Baroque style guards the entrance to the Grand Canal. It was commissioned 17th century by plague survivors and contains many works by Titian. Containing many of the finest masterpieces of the art world pre-19th century this is the place to see great artworks by Tintoretto, Carpaccio, Bellini and Veronese. If your interest is more towards modern art head to the Peggy Guggenheim museum which houses European and American art from the first half of the 19th century. The collection includes work by Picasso,Mondrian, Klee, Kandinsky and Dali. The city of Venice itself consists of 118 small islands linked by 400 bridges but there are also some major islands out in the lagoon to add into your itinerary too! Murano is famous for its glass making. Take route 12 (outer island route) from Fondamente Nova. Use water bus route 4 or 5 to get to the terminus at Fondamente Nova. 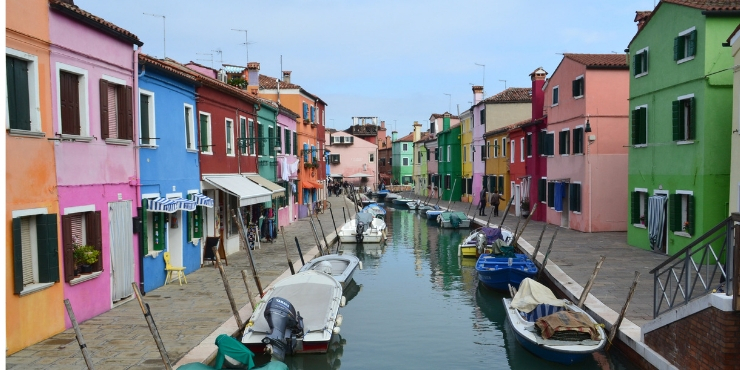 Burano is famous for its brightly coloured streets and lace making. Tortello has a number of interesting churches to visit including the Basilica of Santa Maria Assunta and the Church of Santa Fosca. 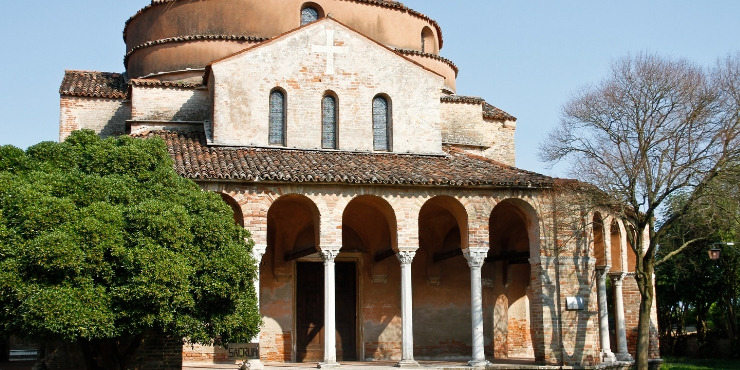 Visit the local museum which exhibits excavated finds from Venice. The most peaceful of Venice’s island the cemetery island you can find the graves of Ezra Pound, Igor Stravinsky and the ballet dancer Serge Diaghilev. The island became the burial ground for the citizens of Venice in 1837 banning the rather unsanitary practice of burying people under church floors or stone slabs! Take the 4.1 or 4.2 water bus from Fondamente Nova. Dress appropriately. This is still an active cemetery and you may see many people paying their respects to deceased loved ones. 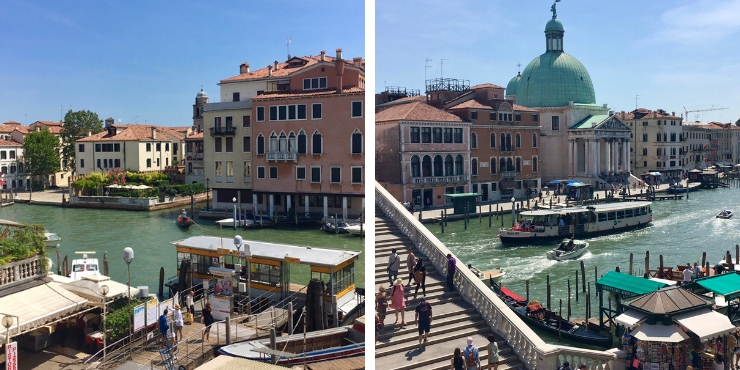 On the Lido you will find buses and cars – a bit of a shock compared to the rest of Venice! 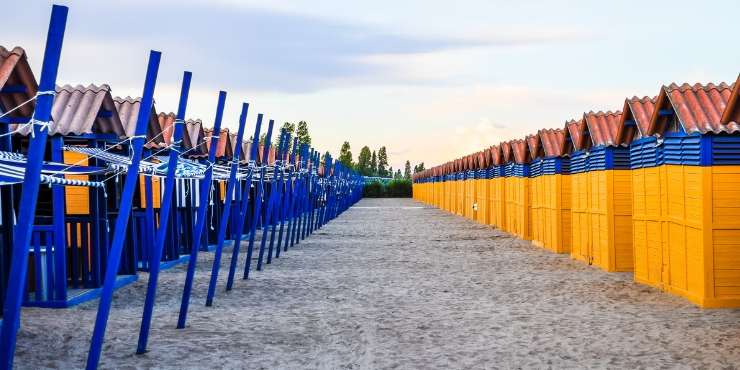 The Lido is of course famous for its beach (11 kms long) and as the venue for the annual Venice Film Festival every September. Around 20,000 people live on arguably the world’s most famous sandbar. 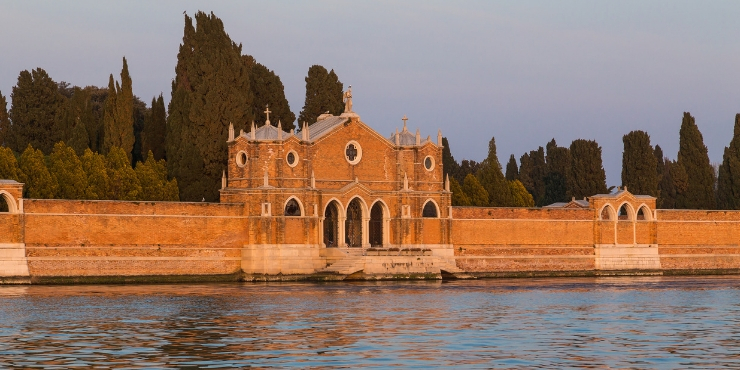 One of the most photographed islands San Giorgio Maggiore is directly opposite St Mark’s Square in the Venice Lagoon. Its Palladian Church also named San Giorgio Maggiore is a 16th century Benedictine Church built between 1566 and 1610. 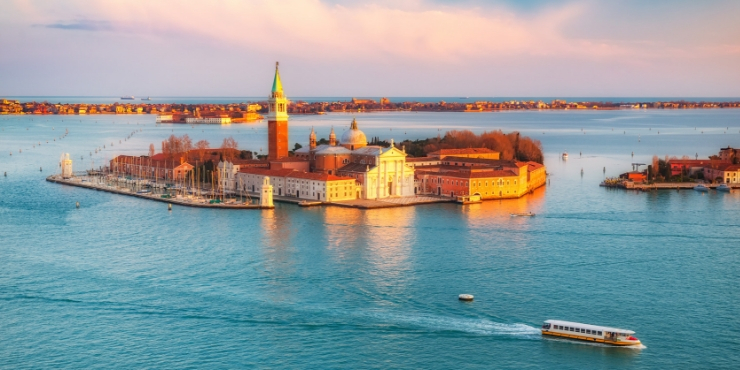 If you want a spectacular view of Venice, the lagoon and islands head to the top of the bell tower. There is an elevator to take you to the top of the 60 meter high tower. Vaporetto line 2 from St Mark’s Square takes you directly to the island. 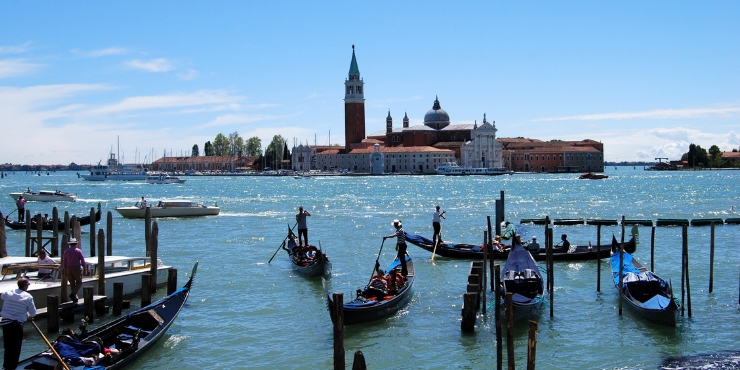 HOW MUCH DOES A GONDOLA RIDE COST IN VENICE? If taking a gondola ride is on your wish list when in Venice it would be wise to include it into your budget! Costing €80 for 40 minutes during the day (and €100 for 35 minutes in the evenings) it is not a cheap but when in Venice it really is a must-do experience! With an estimated 20 million visitors every year Venice is extremely busy especially during the warmer summer months. Growing concerns over the excessive numbers led to the introduction of a tourist tax in 2011. This tax is levied on hotel stays of less than 5 nights in the city. The tax is levied as an addition to your hotel bill and varies depending on the standard of accommodation and whether you are there in high or low season. High season starts after Easter in April and lasts until October. Tourist numbers peak over the summer months of July and August. This also coincides with school holidays across Europe. Expect long queues and a high demand for accommodation. The 2 week Venice Carnival also also attracts many visitors. The carnival is held annually and ends with the celebration of Lent – 50 days before Easter – on Shrove Tuesday or Mardi Gras. During the celebration the city is filled with masked party-goers. When planning when to visit Venice also consider the acqua alta (high water from exceptional tide peaks) which can occur at any time but is most likely between autumn and spring. This phenomenon causes partial flooding of Venice and was first recorded in the year 782. Certainly an experience if the acqua alta occurs when you are in Venice. Platforms are built along St Mark’s Square above the waters to enable access. The two excellent restaurants came highly recommended by my friend who visits regularly. I can certainly vouch for the first one as I ate there the last time I was in the city. 6342 a le Tole – For fantastic pasta and very reasonably priced head to 6342 a le Tole. Book ahead as this is a popular restaurant. Alla Palazzina – 5 minutes walk from the Hotel Abbazia which I highly recommend. It offers good food and great value. Florians (the oldest cafe in the world) for cake, coffee and snacks! Hotel Monaco and Grand Canal next door to Harrys Bar for a bellini. Sit at an outside table overlooking the Grand Canal order your drink and enjoy the view! I have stayed in the Cannaregio district on numerous occasions. I find it the easiest area to get to when arriving by train and thus avoiding the nightmare of taking luggage on water taxis or vaparetto. My favourite hotels in Venice are the Hotel Abbazia or its smaller sister the luxury Hotel Abbazia De Luxe and those are the ones I will recommend! Close to the train station these are a great choice for anyone heading to Venice. The hotel is a restored monastery and has bags of character. Make sure to have breakfast in the large courtyard garden! If you want a little more luxury the Hotel Abbazia De Luxe is your perfect choice. With only 5 rooms (some overlooking the Grand Canal) air conditioning and free high-speed internet it really special. Breakfast is at the Hotel Abbazia next door! Great views of the Grand Canal from Abbazia De Luxe! When you come out of the airport inside doors, turn left and buy a ticket for the bus/vaporetto from the kiosk. 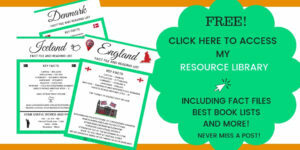 Buy one for the duration of your stay – e.g. 72 hours for 3 days. Once you have purchased your ticket exit the airport main doors in-between doors C and D and wait for an ATVO bus to take you to Venezia – Piazzale Roma or Venice Express. This costs €12 each way. Ensure that you validate your ticket when you get on the bus and each time you use it if possible. When you arrive at the Piazzale Roma you can then transfer to a vaporetto to take you to your hotel. Ask at the information kiosk/ticket office if you’re not sure. Have a map of where your hotel is in case you need to ask. Once you’ve dropped your bags and have your vaporetto ticket you can go anywhere ! If you are pushed for time it may be prudent to book onto a few tours to ensure you manage to see everything on your Venice wishlist! I just love Venice and have always dreamt of visiting during Carnaval. Isn’t it too busy though? 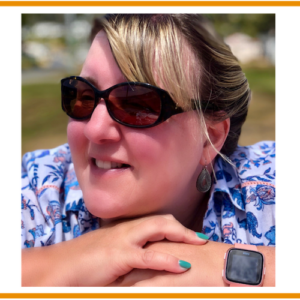 Venice is magical and your post captures the essence of it, Tracy! What would you suggest trying at the Florians? We loved Venice! I’d definitely recommend a visit to this extraordinary city! 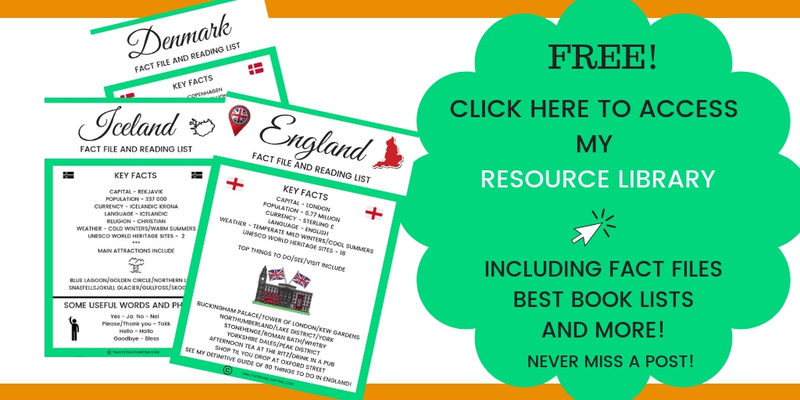 This guide is really useful and would certainly help you to make the most of your visit.